Mass media, radio included, are a redundancy of normality: they reflect the stereotype, the expected, the well known. 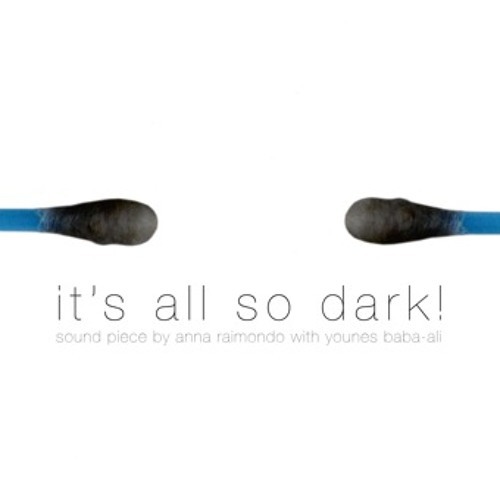 “It’s all so dark!” is a different radiophonical space, a kind of radiophonical labyrint, a guide to the loss, a no-guide. Where the voice doesn’t follow a logic and sounds are indecipherable (often result of recordings that arrive where earing doesn’t arrive). It’s not possible to ear “It’s all so dark!” in the traffic, neither while you’re cooking. Because it demands two conditions of listening: absolutely dark and a pair of very attentives ears. For loosing and maybe finding yourself.